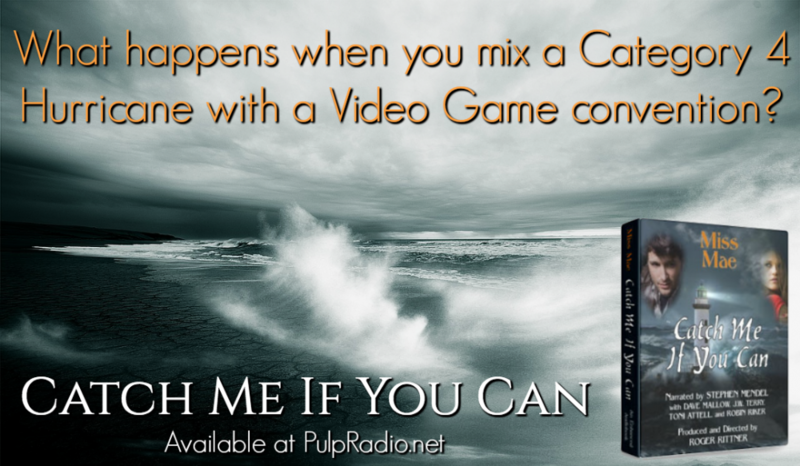 On an island bordering the coast of South Carolina, a convention is planned for “Catch Me” game enthusiasts. The game, designed by Stuart Harrington, wealthy businessman, is the genius behind the hottest game craze. But only ten guests are able to arrive before Brian, a category four hurricane, makes landfall. Lois Steinberg washes ashore on the beach. Amongst strangers, she has no idea who to trust and when Paul, the cook, is found murdered, events happen too eerily reminiscent of any “Catch Me” game that Stuart Harrington could ever conceive. This is one special audiobook! The story is amazing and entertaining and the narration is spectacular in all senses of the word! Mystery and thriller combine with little romance here and there. The plot is very well built and the characters are so unpredictable and extraordinary. Nobody is what they say there are. And that is the great part. The twists and turns kept me focused till the end. Our main character ends up on an island by means of a hurricane. Little did she expect to be right in the middle of a murder mystery. What was supposed to be a game organized by the wealthy Stuart Harrington, becomes a crime solving quest. When bodies start to appear, everyone becomes a suspect. All characters are unique, with a great personality. The author has created the perfect atmosphere for a thriller and has added the perfect instruments to keep the reader’s attention. I would have enjoyed the book in the written format (and keep in mind I am not such a big fan of thrillers) just as much. But the audio is not something any fan should miss. 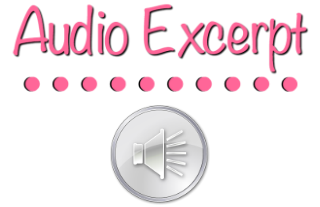 Special effects, sounds, a lot of voices! An amazing voice acting crew gives life to Lois, Stuart, Bob, Andy and all the other participants to the action. It’s an amazing experience and it all seemed so real. I have no complains at all. This is one of the masterpieces of audios. Without further commenting, I truly appreciated Miss Mae’s “Catch Me If You Can”. Again, this story is one that can be easily enjoyed in the written format, but the audio should not be passed at all. It’s an amazing experience and it heightens the reader’s attention to the action. Loved it and I cannot wait to read more books by Miss Mae (and listen to audiobook! ) Enjoy! Not at all. 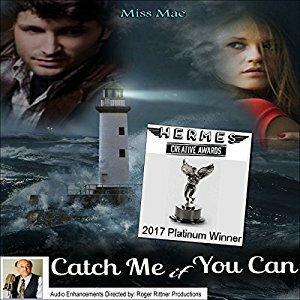 At the time I wrote “Catch Me If You Can”, I wasn’t aware that an audio could even be done. So, the book was meant for ebook and print. When searching for narrators/producers, I saw his profile (Roger Rittner, though he’s not a narrator. He’s the producer/director.) I clicked on his displayed sample and wow! I was floored by what I heard. Music, sound effects, women voices to “play” the female characters, male for the men. I contacted him immediately and asked if he would care to read my book. (He’s incredibly busy with producing audios -which aren’t complete in a matter of weeks. My book took two years, but the time and effort that went into it was completely worth the wait.) Anyway, I wasn’t real sure he’d want to, or have time. But he agreed, and then I held my breath in anxious expectation during the weeks while I awaited his answer. Extremely. Roger is very patient, and his work top-notch. After he takes on your project, it becomes his project. He selects the actors who he knows will grasp your characters personalities and will bring them to life. He answers emails in a timely manner and keeps you in the loop step-by-step. Oh boy, indeed! After the US has now experienced hurricanes Harvey and Irma, my book seems even more relevant. My family went through Hugo (though we evacuated). Some folks may not remember that one, but it was also a category 5. We’d just moved to Savannah three months earlier and then along comes Hugo in September, aiming its eye dead center on us.Well, it turned at the last minute and made landfall in Charleston, SC. Yet my memories of that ordeal is reflected in this audio book, though I embellish it with a fictional plot, of course. Good grief, yes! Every. Single. Bit. I kid you not. What Roger does by adding the sound effects completely and totally immerses you in the story that reading simply can’t do. I mean, with Roger’s expertise, you live this book. From the opening scene to the last sentence of the last chapter, you are there – hearing, seeing, speaking. It’s uncanny how he transports you to Wycliff House Resort on Hanibel Island. Goosebumps erupt on your flesh as you hear the roar of hurricane force wind, or the blood-chilling pierce of a woman’s terrified scream, -and then, for extra atmosphere- he adds eerie music. 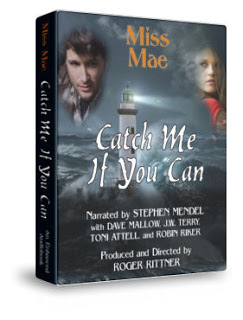 Maybe some people aren’t used to this kind of enhanced audiobook, but I wouldn’t have “Catch Me If You Can” any other way. They should reconsider. I especially advise they check out all productions created by Roger Rittner. While some may consider audiobooks as “ordinary” or as simply “being read aloud” by one narrator, Roger’s is neither. His work is award winning because he does more than bring a listener/reader an “ordinary narrator reading aloud” a plot. No. His books are true creations of audible art, audio experiences if you will. Imagine yourself sitting on a comfy, padded chair in a darkened room, with surround-sound speakers, volume up. Close your eyes, and turn on one of Roger’s books. Immediately, the music starts, swelling around you, drawing you in. Introductory credits are spoken, and then – sound effects so vivid, so real that you are lost -not in a virtual reality, but in an audio reality. Lois Steinberg – washes ashore the beach of Hanibel Island during a category four hurricane. Who is she? What’s her history? Glimpses are given during flashbacks at various scenes. She finds herself attracted to the man who rescued her, Victor Helm. Victor Helm – Handsome, flirty, with his own secrets. He suspects there’s more to Lois’s story than what she reveals, and he intends to discover whatever it is. Jenna Milford – owner of the historic resort where Lois washes ashore. She’d scheduled a ‘Catch Me’ game convention, but Hurricane Brian decided otherwise. B. J. – guest at the convention, loving grandmother, arrived from Jacksonville just in time before Brian struck. 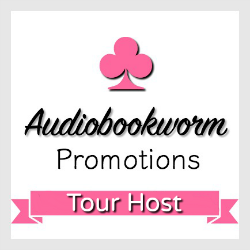 Tia – another guest. Lovely Asian woman. 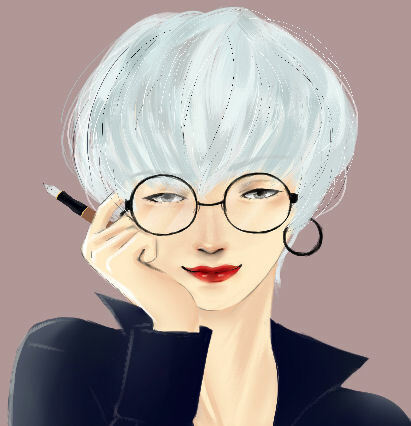 Maybe has her eye on Victor? Jared Steele – all brawn, and smug conceit. Just the kind of guy who enjoys taunting Victor. Pete – another ‘Catch Me’ enthusiast. Or not. Paul – the cook. Murdered by someone using a southern iron skillet as the choice of weapon. Maybe they didn’t like him using lard in his recipes. Bob – loud mouthed, intolerable jerk. He didn’t come to make any friends. Rajah – definitely not one of Bob’s friends. Cookie – blond, curvy, moral character questionable but tough as nails. Maybe. Stuart Harrington – New York millionaire, creator of the ‘Catch me’ game series. His purpose at the convention was to award his newest game, “Catch Me If You Can” to one lucky winner. Mite – Victor’s golden retriever. The game wouldn’t be complete without him. 🙂 Thank you as well for sponsoring this tour!